Tony Rice spans the range of acoustic music, from straight-ahead bluegrass to jazz-influenced new acoustic music, to songwriter-oriented folk. He is perhaps the greatest innovator in acoustic flatpicked guitar since Clarence White. Over the course of his career, he has played alongside J.D. Crowe and the New South, David Grisman (during the formation of ?Dawg Music? ), led his own groups, collaborated with fellow picker Norman Blake and recorded with his brothers. He has recorded with drums, piano, soprano sax, and with straight-ahead bluegrass instrumentation. Rice was born in Danville, Virginia but grew up in California, where he was introduced to bluegrass by his father. He and his brothers learned a lot from hot L.A. pickers like the Kentucky Colonels, led by Roland and Clarence White. Crossing paths with fellow enthusiasts like Ry Cooder, Herb Pederson and Chris Hillman reinforced the strength of the music he had learned from his father. 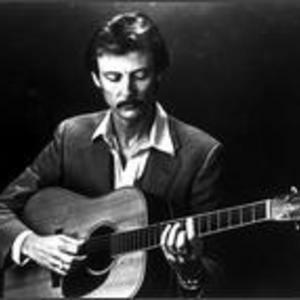 In 1970, Rice had moved back to Kentucky where he played with the Bluegrass Alliance, and shortly thereafter, J.D. Crowe's New South. The New South was known as one of the best and most progressive bluegrass groups - even adding drums and electric instruments. But when Ricky Skaggs joined up in 1974, the band recorded J.D. Crowe & the New South, an acoustic album that became Rounder's top-seller up to that time. With Rice on guitar and vocals, Crowe on banjo and vocals, Jerry Douglas on Dobro, Skaggs on fiddle and mandolin and Bobby Slone on bass, the band's energy, as well as their instrumental and vocal drive have rarely been matched. Around this time Rice met mandolinist David Grisman, who played with Red Allen during the ?60's and was now working on some original material that blended jazz, bluegrass and classical styles. Rice left the New South and moved to California to join Grisman's all instrumental group. As part of the David Grisman Quintet, Rice expanded his horizons beyond three chord bluegrass, studying chord theory, learning to read charts and expanding the range of his playing. In 1979, he left the group to pursue his own music. He recorded Acoustics, a guitar-oriented record, and then Manzanita which collected some favorite folk and bluegrass vocals. In 1980, Rice, Crowe, Bobby Hicks, Doyle Lawson and Todd Phillips formed a highly successful coalition, attacking bluegrass standards under the name the Bluegrass Album Band. This group has recorded six volumes of music. Tony's solo career hit its stride with Cold on the Shoulder, a collection of bluegrass vocals. With this album, Native American and Me & My Guitar, Rice arrived at a formula that incorporated his disparate influences, combining bluegrass, the songwriting of folk artists like Ian Tyson, Joni Mitchell, Phil Ochs and especially Gordon Lightfoot, with nimble, jazz-inflected guitar work. Simultaneously, he pursued his jazz and experimental ?spacegrass? with the Tony Rice Unit on Mar West, Still Inside and Backwaters. Two highly regarded albums with traditional guitar virtuoso Norman Blake gained a great deal of acclaim, as well as two Rice Brother albums that reunited him with his younger brother, Wyatt. Tony Rice remains one of bluegrass' top instrumentalists and singers, bringing originality and vitality to everything he plays. Tony Rice "Plays And Sings Bluegrass"